At the San Francisco Bay Area law firm of Bracamontes & Vlasak, P.C., we handle cases for employees covered by California state and federal law. Unlike virtually all other employees in California, railway workers are not covered by workers’ compensation benefits. Workers’ compensation benefits are paid regardless of who is at fault. It does not matter whether the employer was negligent or whether the employee was careless. Railway workers, on the other hand, are covered under the Federal Employer’s Liability Act, otherwise known as FELA. 45 § U.S.C. 51. In short, the FELA holds railroad employers liable for injuries to their employees only if the employer is negligent. While this difference makes recovery for damages narrower than California workers’ compensation system, it also affords those individuals labeled as “special employees” to recover both workers compensation benefits and monetary damages under the FELA, if the employer was negligent. Emotional distress damages are recoverable under the FELA. InConsolidated Railroad Corp. v. Gottshall, 512 U.S. 532 (1994), the Supreme Court dealt with the question of whether railroad workers could recover emotional distress damages for watching their colleague suffer a heart attack. There, the plaintiffs were directed to go back to work while their colleague was having a heart attack before their very eyes. After the colleague died, he was covered with a blanket, and the plaintiffs were ordered to continue working in the presence of the body. In Norfolk & Western Railway Company v. Ayers, 538 U.S. 135 (2003), the Court considered whether railway employees that were exposed to asbestos and contracted asbestosis, but not cancer, could still recover for the emotional distress associated with the fear of getting cancer in the future. The Court began by noting “occupational diseases caused by exposure to hazardous dusts are injuries under the FELA.” Using that as the starting point, the Court ultimately sided with the employees and held that they could recover emotional distress damages associated with the fear of developing cancer. One of our experienced plaintiffs’ personal injury lawyers can help you determine whether the railway company is responsible for the injuries you suffered, and if so, how to proceed with your case. Your best chance at success results from contacting an attorney as soon as possible after you have been injured. If for any reason you are not able to come to our office, an attorney from Bracamontes & Vlasak, P.C., will make arrangements to come to you for your free initial consultation. This meeting does not obligate you to hire us to represent you. We typically handle railway accident cases on a contingent fee basis, so our attorneys do not get paid unless you recover. 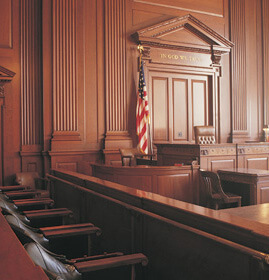 In California, where multiple wrongdoers are responsible for harm caused, the jury decides the percentage that each wrongdoer is at-fault. Accordingly, that wrongdoer is only responsible for paying the percentage of fault it has been assigned. For example, if there are 2 defendants, and Defendant 1 is found to be 60 percent at-fault and Defendant 2 is found to be 30 percent at-fault, and the plaintiff is found to be 10 percent at-fault (meaning the plaintiff may have been negligent and partly to blame for the injury), on a verdict of $500,000 the breakdown would be as follows: Defendant 1 would pay $300,000 to plaintiff; Defendant 2 would pay $150,000 to plaintiff; and plaintiff would not recover the remaining $50,000 from anyone. Unlike the California rule, cases brought under the FELA do not have any apportionment rule. It does not matter if the employee was partly negligent, or if there were other wrongdoers, aside from the railway company, whose conduct contributed to the injury. “The federal and state reporters contain numerous FELA decisions stating that railroad employers may be held jointly and severally liable for injuries caused in part by the negligence of third parties, and even more recognizing that FELA defendants may bring indemnification and contribution actions against third parties under otherwise applicable state or federal law.” Norfolk & Western Railway Company v. Ayers, 538 U.S. 135, 162 (2003). In other words, even if the railway company is only 10 percent responsible for the injury, it may be obligated to pay for 100 percent of damages stemming from that injury. This provides a tremendous amount of protection for injured railway workers.